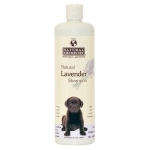 Create a comfortable grooming experience from the beginning with this puppy shampoo with lavender. Specifically formulated with mild ingredients to gently clease and provide a calming effect while bathing. Natural Flea & Tick Spray for Dogs contains natural botanical ingredients that work synergistically with one another to provide effective and natural flea protection. 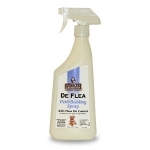 Natural Flea & Tick Spray for Dogs has been proven to provide a residual effect for up to 7 days and is also effective on black flies and mosquitoes. 100 percent natural. Chemical and pesticide free. Made from free-range cattle in michigan, usa. Satisfies natural urge to chew. Made in the USA! 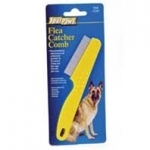 Four Paws Ultimate Touch Pro 2 in 1 Slickers were designed for both dogs and cats that require both a slicker brush and shedding blade for proper grooming and effective dead hair removal. The patented Pro 2 in 1 brush line is both a slicker brush and shedding blade combined-absolutely unique and one-of-kind in the pet industry! The Pro 2 in 1 slicker offers symmetrical rows of wire, angled perfectly for effortless, deep reaching dead hair removal. The pad encasing the wire, is soft for pets with sensitive skin and or/delicate coats. On the reverse side of the Pro 2 in 1 slicker, the shedding blade is affixed to the brush. The stainless steel shedding blade is the most effective dead hair removing grooming tool for topcoat, in the industry. 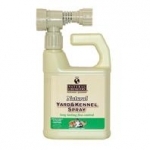 Specially formulated to kill fleas, ticks and lice on dogs, cats, puppies and kittens without harming coat or skin. 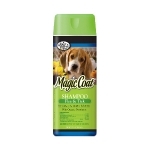 A rich, highly concentrated shampoo which leaves pets coat with a beautiful luster and fresh scent. 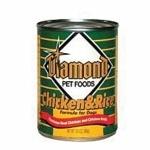 Contains real chicken, chicken broth, and rice for a taste your dog will love. 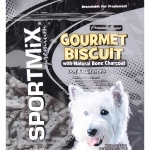 100 percent complete and balanced meal for the nutritional maintenance of your adult dog. Made using super premium, high quality ingredients. 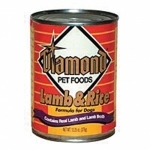 Contains real lamb, lamb broth, and rice for a taste your dog will love. 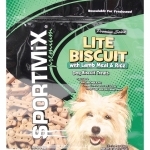 100 percent complete and balanced meal for the nutritional maintenance of your adult dog. Made using super premium, high quality ingredients. Kills fleas and ticks on contact. Made with natural botanicals. Can be applied even when pets are present. For use on lawns, trees, outside surfaces, shrubs, etc. Hose-end sprayer conveniently hooks up to outdoor water supply. Durable Translucent TPR Rubber Bone. Has a channel to hide treats or soft spreads, like peanut butter. Textured surface. 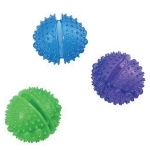 3 color asst.-Blue, Green, Purple. 7in bone. 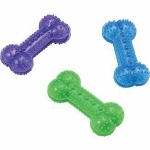 The Puppy Ring Bone is specifically designed for teething puppies to encourage the development of non-destructive chewing habits. Not recommended for dogs with any adult teeth. 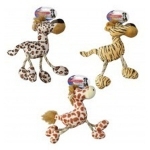 Vibrant, animal shaped character that squeaks and has a unique bounce when thrown for a game of fetch. 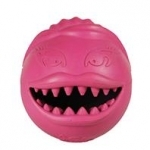 Easy to squeak, and is great for indoor or outdoor use. Durable, non-toxic material. 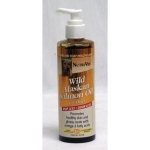 Convenient liquid provides a daily supplement rich in epa and dha that helps maintain healthy skin and coat. Promotes a strong immune system. Salmon flavor that dogs love. Drip less and odor less. 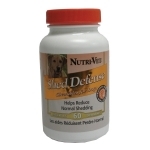 Shed-Defense Max liver flavor chewables contain essential fatty acids from natural source vegetable oils to promote skin and coat health and help support normal shedding. Feeding Directions: Use one (1) chewable per 10lbs of body weight daily. Allow four to six weeks for best results. Continue as needed. 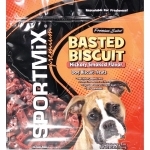 Great way to reward your dog while providing a delicious supplement to his diet. 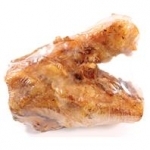 Naturally preserved and oven-baked with the highest quality ingredients. Unique, treat-dispensing design. Made of 100 percent natural rubber. Helps clean teeth and gums. 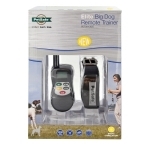 Perfect for medium to large dogs. 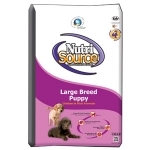 NutriSource® Large Breed Puppy Chicken and Rice Formula provides super premium nutrition in a scientifically formulated easy-to-digest food designed for puppies of breeds that will mature at more than 50 pounds. This is formulated to provide proper nutrition for balanced muscular and skeletal growth in large and giant breeds avoiding joint problems later in life. 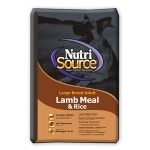 Nutrisource® Large Breed Adult Lamb Meal & Rice formula provides superior nutrition in a scientifically formulated, easy to digest food. Nutrisource® uses the finest ingredients including New Zealand lamb meal as the primary source of protein and rice has the primary cereal carbohydrate ingredient to help maintain muscle mass and strength in large dogs.